Update – February 18, 2019: Gab Share is now available in the Google Chrome Web Store. Original Article: The free speech focused social network Gab has launched its latest tool in the war against Internet censorship – Gab Share. This browser-based extension is currently in beta and allows any Gab user to share a link from their browser to Gab in a single click. 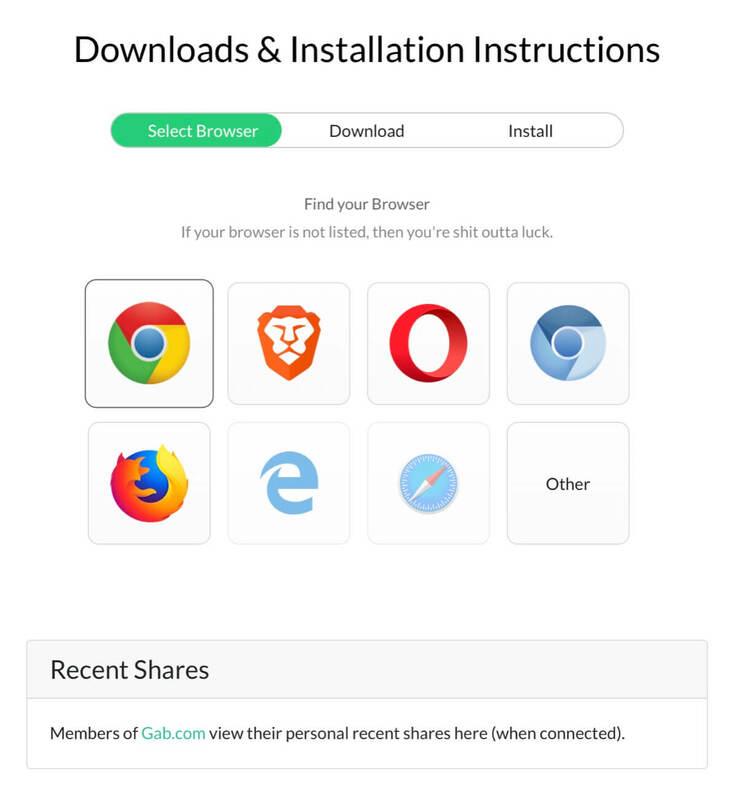 Gab Share currently supports Chrome, Brave, Firefox, Opera, and Chromium. 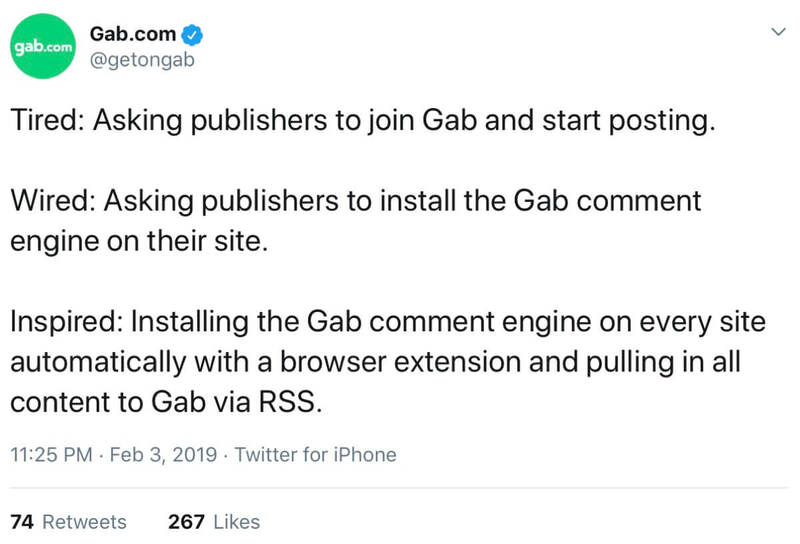 Edge and Safari extensions are coming soon and you can request other browser extensions by using #GabShareExtension on Gab. Users of the extension can also see all their recent Gab shares on the Gab Share homepage. Gab has also launched a “Popular Shares” page alongside the Gab Share extension. This page aggregates the most shared Gab links from the past hour, day, and week. The Gab Share extension is the perfect solution to this social media censorship because it’s browser-based and very difficult to suppress. Activists and censoring-organizations often pressure websites and brands to cut ties with companies they don’t approve of. This tactic won’t be possible with Gab Share because it’s not tied to a single brand or website. It’s a lot more decentralized and the decision to add or remove Gab Share is controlled by individual users. We’ll keep you posted on any future developments. In the meantime, you can download the beta version of the Gab Share browser extension here. Critics say Google is censoring VPN apps in China to "curry favor with Beijing"